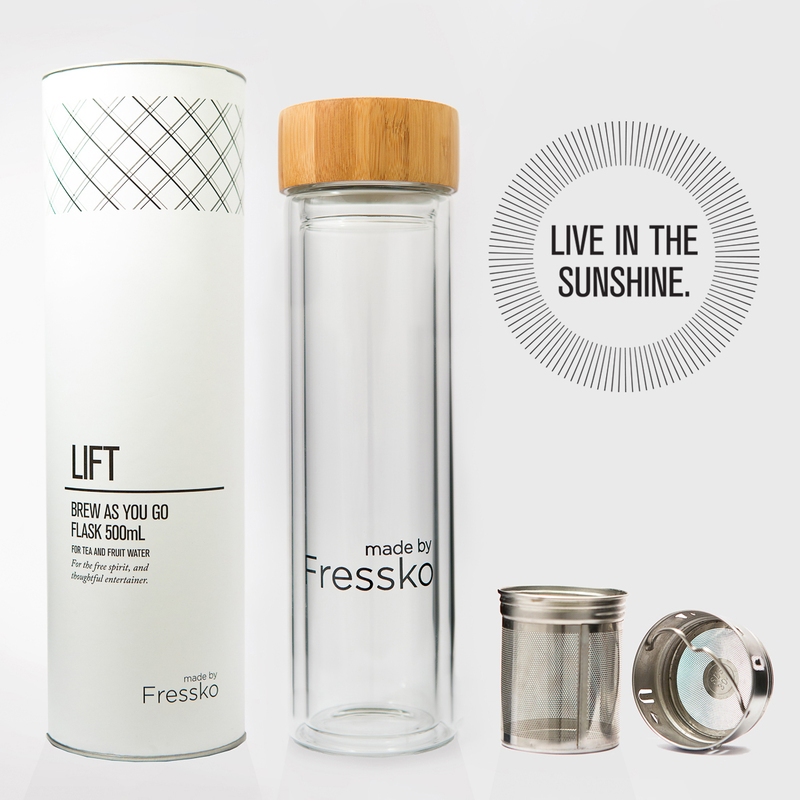 Bubbles Organic is proud to be a supplier of the super popular Fressko Flasks. We LOVE these and you will too!! 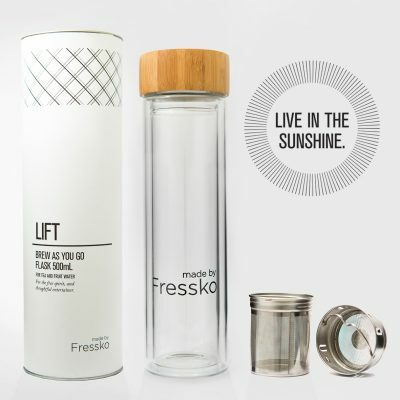 FRESSKO’S RECOMMENDED USES: Tea, Coffee, Fruit-Water, Smoothies, Detox Recipes, Water and Juices. 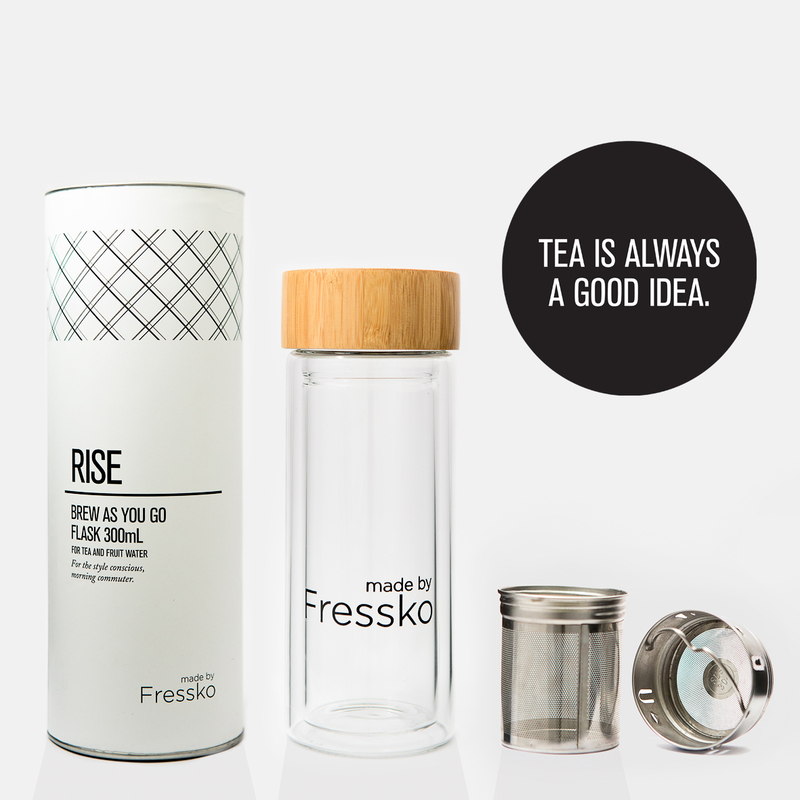 TEA – The use of the 2-in-1 “Infuse” Filter allows any tea drinker to manually control the strength of their tea. 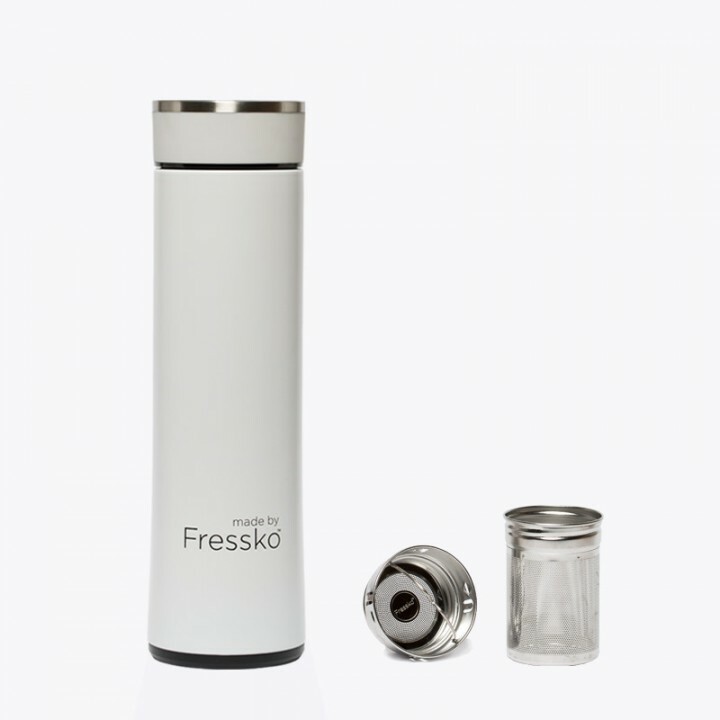 Pop out the filter, unscrew the 2 components, add your fresh tea leaves or tea bag, screw the filter back into place, insert back into the bottle, add boiling water and let the Fressko Flask do the rest. 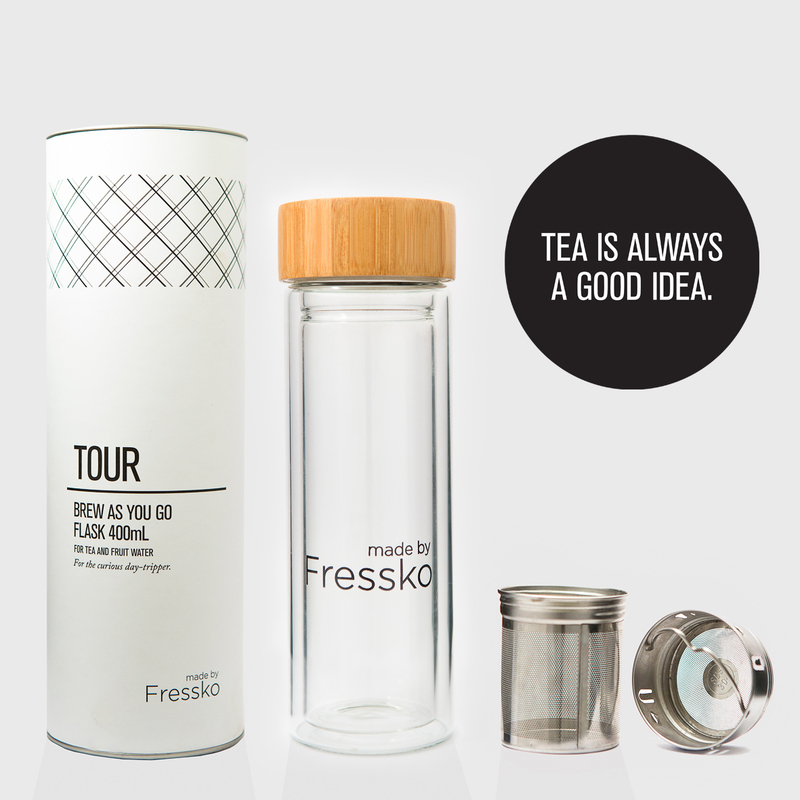 Can be used for iced-tea too! 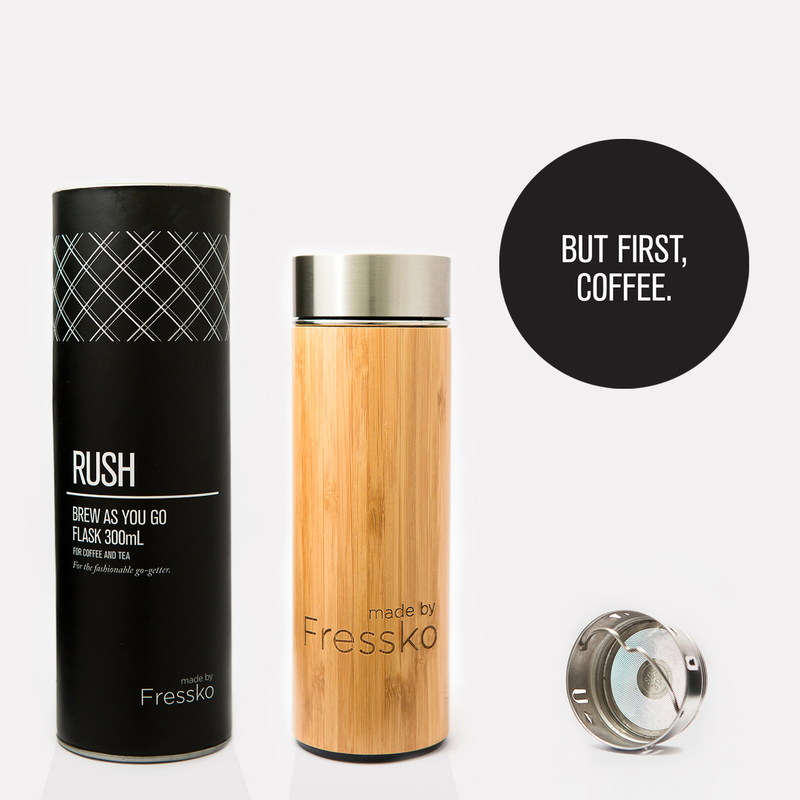 The product is made with double-walled glass to ensure the contents stay hot (while remaining cool to touch) or chilled for several hours with a leak-proof bamboo lid. NOTE: Coffee, Tea, Fruit and Water NOT included. CAUTION: Use boiling water responsibly. WARNING: Although our flasks are made of the strongest glass, beware that glass can break and you should always handle with care.